Did you know Bundledocs is an approved G-Cloud supplier? Earlier this year Bundledocs was approved as a UK Government SaaS supplier for G-Cloud 7. The G-Cloud framework is a UK Government initiative to help UK public sector bodies easily procure cloud solutions. Want to find out more? Check out our Digital Marketplace profile page now. 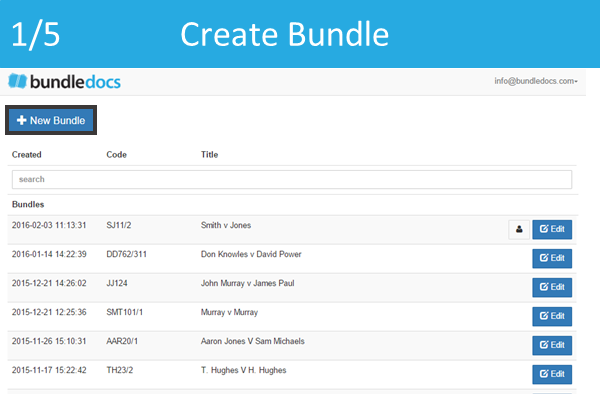 Bundledocs has everything you need to create the perfect bundle. Take a look at our Top 10 Features now to learn more. Got a question? Get in touch with our dedicated team who will be happy to answer any questions you have.